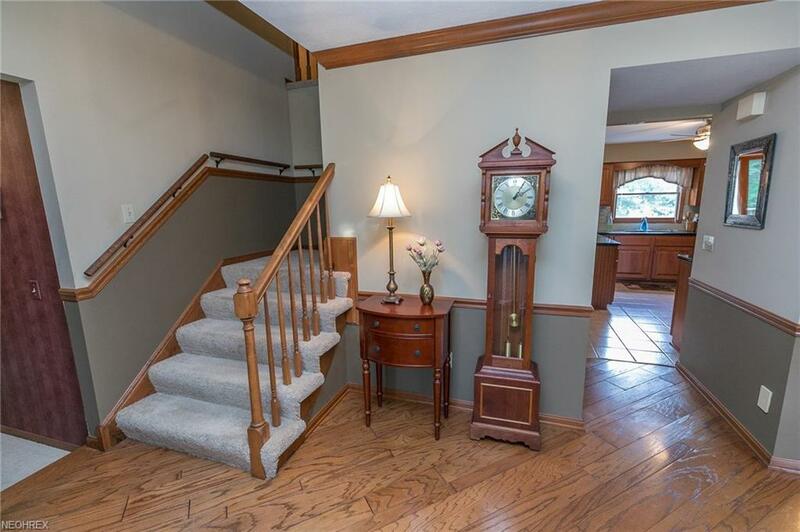 Welcome to this nicely appointed 4 bedroom, 2.5 bath Colonial located in Strongsville's High Point. Once in, you are greeted by the inviting foyer that opens to the spacious formal living room & adjacent dining room, all within steps of the fabulous updated kitchen featuring: cherry cabinets, ceramic tile floors, glass tile backsplash, peninsula style island, granite counters, pantry & stainless appliances. Large windows & slider door ensure that the kitchen is light filled. The sliding door leads to a large deck & gravel patio; which make for an ideal spot to entertain. 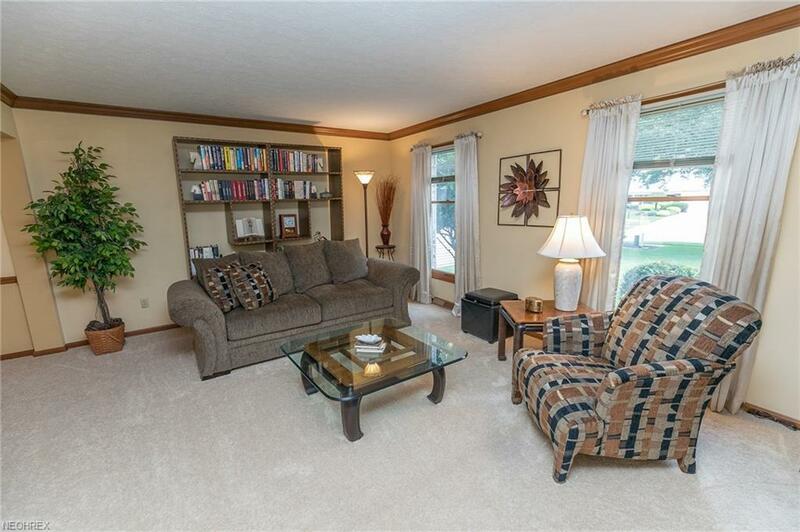 Back inside, the large Family room is open to the kitchen & features a brick wood-burning fireplace & beamed ceiling. A convenient 1st floor laundry room & powder room round out this level. 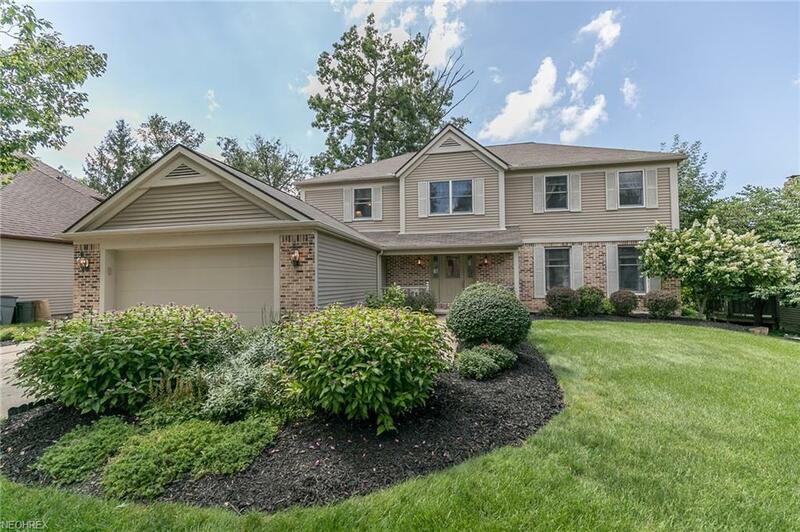 Once upstairs you will find the Master suite w/ walk-in closet & ensuite Master bath boasting a step-up garden tub w/ separate shower & dual sinks. Three additional spacious bedrooms & another full bath complete the second level. 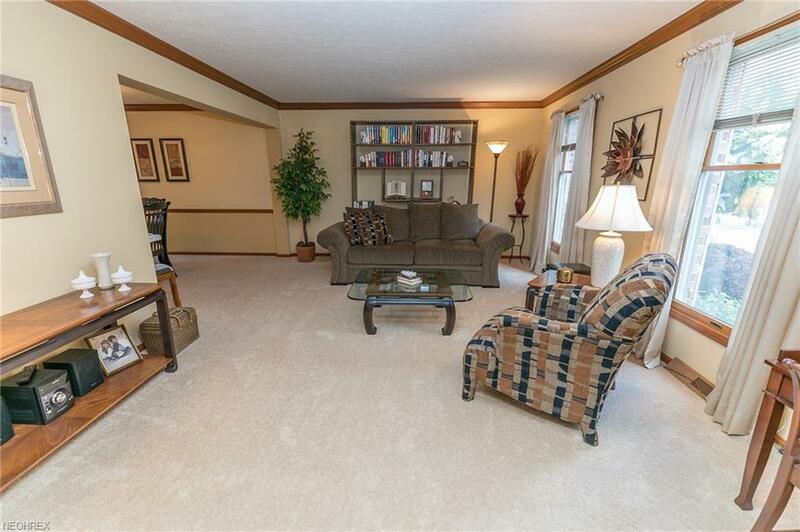 The lower level has a separate finished rec room & bonus room w/ loads of storage space. Additional features & updates include: Central Vac Sytem & Intercom; Front lawn sprinkler system; Kitchen remodel (2010); Front Door & Sliding Door (2014); Deck stained (2018); Chimney cleaned (2017); Hot water Tank (2016) 2 car attached garage w/ ample storage room 1 year home warranty is included! Please call today for a private tour of this lovely home!